Joker and Harley. . HD Wallpaper and background images in the The Joker club tagged: the joker harley quinn awesome photo. u wanna know how i got these scars? 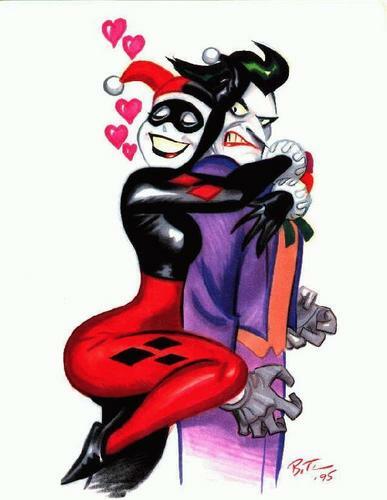 joker: get off me before batman comes!!! batman: (enters) WTF LOLOLOOLOLOLOLOLOLOLOLOLOLOLOLOLOL ROFL!!!!!!!! !